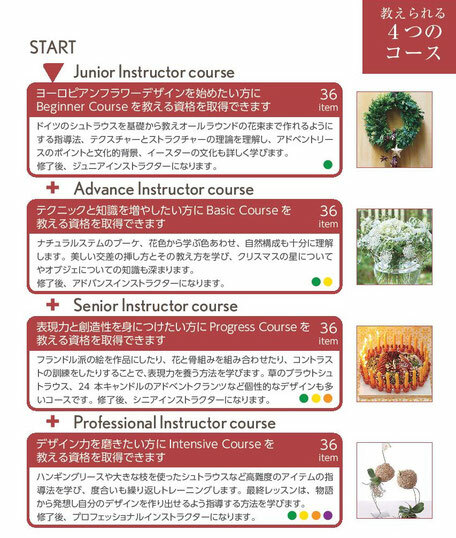 the Instructor Courses for those with experience, who want to teach our items with an Instructor license. 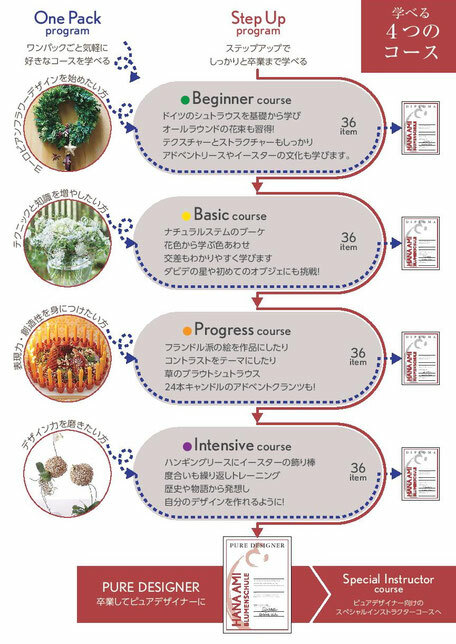 These are course for those, who want to learn and be taught. Starting with the Beginner Course, you can properly learn flower design from the basics. Please follow the Step Up program, if you want to build up step by step. You can study our Student courses from the very beginning, which is the proper way to learn. Please follow the Step Up program. You can also choose to study just one of our student courses as a package course, if you are experienced enough. These courses are for those who want to teach or want to study in an academic way. The Instructor courses are mainly licensing courses. You will not only learn how to make our items, but also how to teach them. After receiving your Instructor diploma, you are allowed to use our name, our logo, and to teach our items. You will be able to issue Hana Ami Blumenschule student diplomas for your students.You will also join HAIS, the Hana Ami Instructors Society.